Protect your property and your health by calling North Fulton Pest Solutions – the best pest control Milton, Georgia, has to offer. Georgia property owners have a struggle on their hands when it comes to keeping pests at bay. This state has more than its fair share of insects, and often our winters aren’t harsh enough to kill off existing populations. We have more species of ants, mosquitos, termites, spiders and other bugs than the majority of the nation, making infestations tricky to treat. Thankfully, as area experts, we have the training and the tools needed to keep these pests under control. 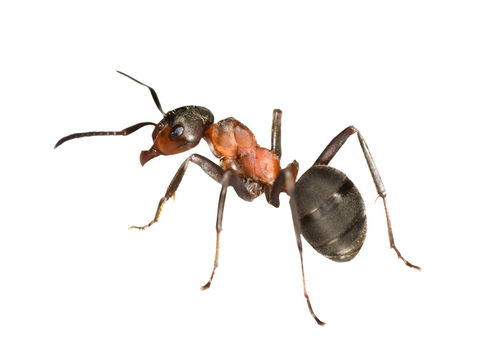 Capable of causing property damage as well as delivering painful bites, fire ants can be almost as difficult to get rid of as termites. DIY methods rarely work, as treatments need to penetrate deep into the ground. Consumer products are even worse and generally are a waste of both time and money. Trust our expertise when dealing with these nasty insects. We use high-quality applications capable of getting to the heart of the colony and any satellite mounds established on your property. A termite infestation is not a pleasant thought for any homeowner, but in the Milton area termites are an unfortunate reality. 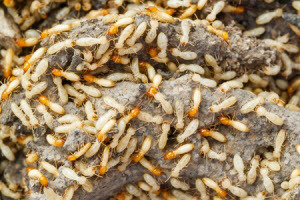 When you are seeking Termite Control in Milton, GA you can rest assured that North Fulton Pest Solutions will get the job done right using some of the most technologically advanced products available. What’s more, our Lifetime Renewable Guarantees and Damage Repair Guarantees for qualifying homes provide peace of mind with regard to future termite infestations and costly termite damages, which are rarely covered by homeowner’s insurance! We use two of the top termite products on the market. They are proven to deliver effective, lasting termite protection and treatment. Sentricon® Termite Colony Elimination System with Always Active™ Technology. It protects the White House and millions of other homes, and now it can protect yours too! This green alternative system destroys the colony as well as individual termites, leaving your home termite free. It’s the only termite baiting system on the market today that features Recruit® HD termite bait in every single station from the very first day of installation providing continuous termite protection 24 hours a day, 7 days a week, 365 days a year! Termidor® Termite Treatment. This non-repellant liquid residual termiticide features a unique “Transfer Effect™” that destroys termites who ingest or come into contact with the product but also other secondary termites with whom they come into contact with as well! Think domino effect leading to total eradication and colony control. Are you a builder or developer? We are one of only two companies in and around Milton, GA that participate in the Builder’s Club program. When you purchase our pre-construction termite treatment or make another qualifying purchase, you can earn Club Points that can be redeemed for rewards. Whether we’re performing a termite treatment featuring Termidor, installing a Sentricon System with Always Active Technology, implementing a plan featuring both Sentricon and Termidor, or you’re in need of some other termite service, the first step is a termite inspection. We will conduct a complete visual inspection of your home and property, and recommend the best course of action to keep your home termite free and protected. We routinely suggest the installation of the Sentricon System with Always Active Technology and the use of Termidor in areas conducive to termite infestation, giving the you the best of both worlds and the ultimate in termite protection! Whether you are selling a home or buying one, a Milton termite inspection and an Official Georgia Wood Infestation Report (commonly referred to as a termite clearance letter) is vital to ensure protection of both the buyer and the seller. Real estate agents and homeowners can submit their requests via our convenient form that is located on our website. For professional, thorough termite control in Milton, GA, call North Fulton Pest Solutions. We will tailor our approach to meet your specific needs to get you the best available pest protection. Whether you think you have termites, know you do, or just want the peace of mind that comes with termite protection, call on us. Termites will quickly destroy the best-maintained homes, and they’re next-to-impossible to defeat on your own. Prevent damage by putting methods in place now to eradicate any infestation the second bugs move in. We utilize both Termidor® and Sentricon® with Always Active™ — the two leading names in termite treatment currently on the market. We also understand what pest control Milton homes require. National companies may settle for barebones service plans, but ultimately these leave your property vulnerable. Termite clearance letters with fast turnaround! Along with preventing insects from spreading disease and damage throughout your home, our Georgia Department of Natural Resources licensed trappers possess the knowledge and expertise to responsibly remove and control wildlife that’s taken up residence in your home. This includes both the removal and exclusion of wild animals. From patching holes to sealing rooflines, we’ll save you time, money and stress by preventing animals from getting inside to begin with. Put your faith in a local, family-owned business to keep your property free from bugs and other pests. For 45 years and over three generations, we’ve worked diligently to provide pest control to Milton residents. Call 770-475-7419 for a free quote for pest control or wildlife removal services or contact us online today.